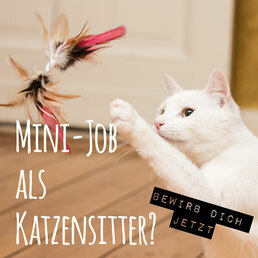 Prices for cat sitting in Berlin start from 22,90 Euro (incl. VAT) per visit for basic care. The rates vary due to distance, time spent with your pet and the length of your absence. Do get in touch with us via our contact form, we are happy to get back to you with an individual quote!